Monitoring of the level of neuromuscular activity (NMT). Multipurpose connectors technology allows to create the most effective configuration of monitor’s information – not more and not less as it’s necessary in each situation for each patient. All expanded monitoring capabilities are connected simply by modules-in-cable to any Uniport. All connected modules are automatically detected and the screen automatically reconfigures. The modern holder solution of the modules provides for patient monitors operational readiness for work. Location modules near the device allows the doctor to connect the cables and sensors to the unitquickly and easily and start measuring of the required parameters. Patient transportation got easier with unique approach to module's mounting solution. 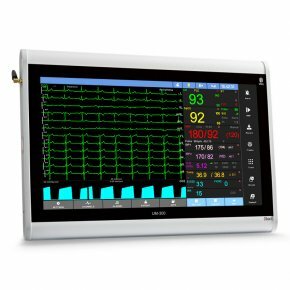 A wide range of modules-in-cable provides an opportunity for hospital to purchase patient monitors and additional functions exactly in the amount which is necessary at the moment and expand the functionality of the existing monitors in the future, purchasing required the modules-in-cable only. Clinicians can quickly check patient’s status directly from a standard PC, Mac or tablet PC, on wireless, pocket-sized Personal Digital Assistant (PDA) or smartphone. With the Web Viewer you can quickly check the status of your patients directly from your PC without making a trip to the bedside or even to the hospital. 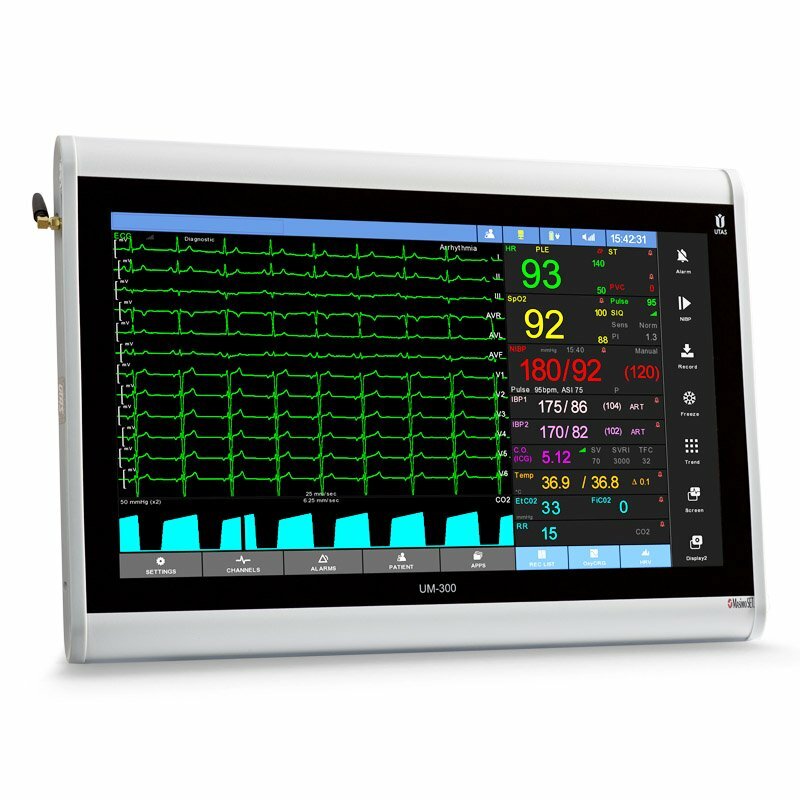 Web Viewer is capable of displaying real time patient monitoring data such as waveforms, alarms and numeric including printing facilities. Web Viewer can use any type of technology: wire, wireless, mobile. Web Viewer software adds web-enabling capability to the Central station UNET. Now, physicianscan quickly and easily access current vital patient data from remote locations or anywhere that has internet access. Web Viewer allows physicians to remotely interact with on-site clinical staff, reducing delays in diagnosing patients, saving time and increasing productivity. High profile patient monitoring - another monitoring just does not make any sense. UTAS UniView patient continuous universal monitoring solution suggests complete and flexible solution of monitoring tasks at all stages of patient management, both in the acute phase of treatment and during recovery. Web Viewer - remote access to the monitored patient parameters from any network monitor in real time mode or in trends. Using UniView system the monitored patient information is continuous and stored in a single database and doctors can quickly assess the patient status even in remote mode.